Do you remember when God called you into ministry? I was 16, newly saved, and knew beyond a shadow of a doubt that God was rerouting my life. It was absolutely amazing. I was filled with great passion and an intense desire to win the world for Jesus Christ. Only one problem, at the age of 25, I wasn’t a youth pastor, but I was a delivery driver for a cookie company. While the job had it’s perks, namely some scrumptious cookies, I felt as if I had somehow missed the call of God on my life. Don’t get me wrong, I still served as a youth leader, but I knew that God had called me to serve in greater capacity. I remember driving down the road on several occasions, wondering what I needed to do, or if God had really even called me at all. Then one day, our senior pastor informed me that our youth pastor was leaving and asked me if I would consider applying for the job. Obviously, I was ecstatic. Finally, my dream was coming true. Everything I had waited for was finally coming to fruition. I started out with great intensity and a renewed passion. I was fiery. I was excited. And I had no idea what I was doing. It’s not that I couldn’t put a message together or plan an event, it’s just that my way of doing things in the beginning was to emulate everything that I had seen others do. The problem was that I wasn’t what these other people were. My talents were different. As a result, our youth ministry went from about 35 students to 15 students in a matter of months. Some kids left because they thought I was too demanding. Others left because they had a strong bond with the previous youth pastor. But almost no new students came in the beginning. At that point that I once again questioned my call. In my eyes, I was a failure. I had made everything about me and my performance or the number of students that showed up. Wednesday nights stopped becoming a joy and started turning into a burden that I tried to carry by myself. During this time, we sang a song called, “To The Ends Of The Earth”. One part of the songs says, “And I would give the world to tell you’re story ’cause I know that you’ve called me”. 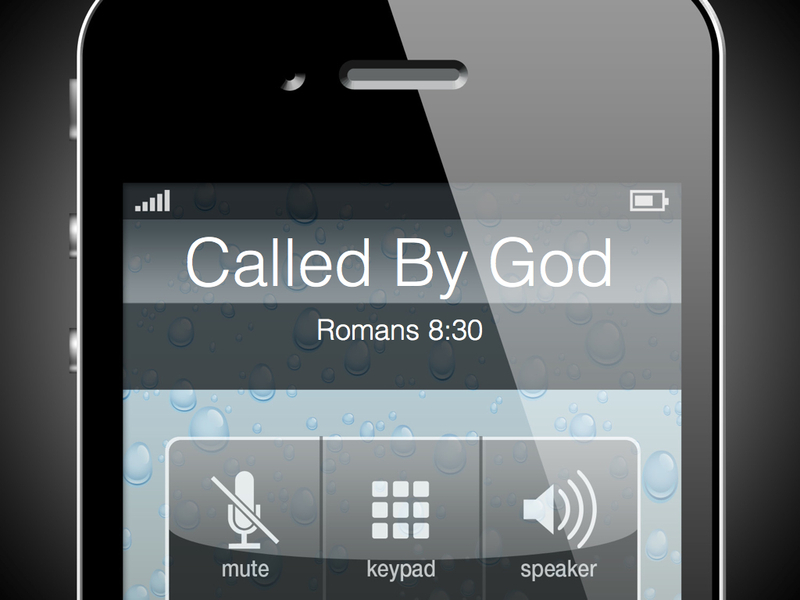 God used this song to remind me that He indeed did call me, and if He called me, He’d equip me. I had started to do what so many other student pastors and leaders do, I lived by sight and not by faith. I stopped trusting that God was in control and forgot that it wasn’t all about me in the first place. I’m happy to say that our youth ministry really turned around in just about every way, but it all started when I remembered Who called me. Today, if you’re discouraged or disheartened, remember that He who called you will be faithful to the end! Thanks for posting this! God has been dealing with me about this very thing. He used Jeremiah 2 get my attention. He told them he had two evil things against him. 2) dug for themselves cracked cisterns that can hold no water at all. God showed me that is where I was. I was chasing everything instead of him and none of that was bringing fullness. I totally understand going from the joys of ministry to it now being a burden because I’ve been trying to do it on my own. Thanks again for posting. I will be saving this to look back on. Tony- Thanks for sharing what you’ve been going through as well. I think most of us in ministry face this at some point, but I’m so thankful that God is patient, loving and faithful to us despite all of our shortcomings!